The 38th annual Killebrew-Thompson Memorial benefit golf tournament for leukemia and cancer research starts today at Sun Valley Resort. Four-time Grammy Award-winning band The Doobie Brothers performs an 8 p.m. concert today at Sun Valley Pavilion. Lawn tickets remain for the concert at Sun Valley Recreation Center (622-2135). 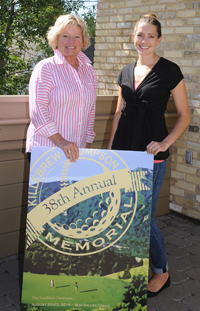 A social and fund-raising highlight is the 19th annual Killebrew-Thompson Memorial live and silent auction Friday, Aug. 22 at 6 p.m. in the Limelight Room of Sun Valley Inn. Live auction items include trips to Mexico, Las Vegas, Maui, France and to the Kentucky Derby; and an autographed Keith Urban guitar. Silent auction items include autographed baseballs from Mike Trout and Albert Pujols of the Los Angeles Angels. Football’s Joe Washington and Jerry Kramer, baseball’s Brooks Robinson and Bobby Grich, and 33-year-old professional golfer Mike Lavery from California are among the sports figures expected. Wednesday, Aug. 20: Benefit concert featuring The Doobie Brothers at 8 p.m., Sun Valley Pavilion. Thursday, Aug. 21: Western-style welcome barbecue 6 p.m. at Trail Creek Cabin. Friday, Aug. 22: First 18-hole round of the Thompson Memorial tourney, 9 a.m. shotgun starts at Sun Valley and Elkhorn golf courses. Saturday, Aug. 23: Final 18-hole round, 9 a.m. shotgun starts. Ladies have a nine-hole scramble tournament at 10 a.m. at Bigwood Golf Course. Awards reception 4-6 p.m. on the Sun Valley Clubhouse deck.